Naomi Osaka's announcement has come out of the blue. 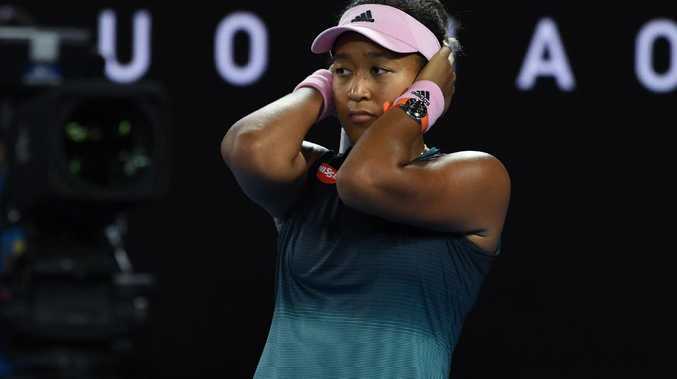 AUSTRALIAN Open champion Naomi Osaka has rocked the tennis world, announcing she has split from her coach just over a fortnight after winning the grand slam at Melbourne Park. 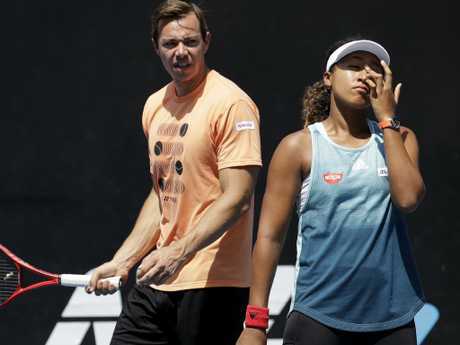 On Tuesday, Osaka tweeted she would be parting ways with Sascha Bajin, who replied on Twitter, thanking the Japanese for their time together. Osaka surged to No.1 in the world rankings after her Australian Open triumph, becoming the first Japanese player - male or female - to achieve the feat. She holds two major titles, having also beaten Serena Williams at last year's US Open. The Australian Open win over Petra Kvitova made the 21-year-old the first woman to win successive majors since Williams in 2015 and the youngest to do so since Martina Hingis in 1998. A year ago Osaka was ranked outside the top 70, but made the stunning rise to best player in the world with Bajin by her side. They had teamed up in December 2017. Osaka's recent success makes the split that much more surprising - a sentiment expressed by American tennis legend Lindsay Davenport. "It's a shocker. She just has won two grand slams. They started working together in December of 2017 and it's just been nothing but improvement for Osaka," Davenport told The Tennis Channel. "That is really surprising, especially given Osaka's results." Bajin and Osaka are a dream team no more. Tennis writer Chris Oddo called the separation "shocking" on Twitter, and New York Times tennis expert Ben Rothenberg was also taken aback, especially considering Bajin was recognised as the best coach on the WTA tour last year. "Well this is very surprising news from the WTA #1 and winner of the last two grand slam events," Rothenberg wrote. "Sascha Bajin was named WTA Coach of the year in 2018." Rothenberg also pointed out the "wild" trend where reigning grand slam champions had split from the coaches who were part of their team when they won their trophy. Last year's Wimbledon champion, Angelique Kerber, broke ties with Wim Fissette after dominating at the All England Club, and French Open title-holder Simona Halep split with Australian Darren Cahill after breaking through for a maiden grand slam triumph at Roland Garros in 2018. Fellow tennis reporter Carole Bouchard tweeted: "WOAH. Despite winning the last two grand slams and reaching World No.1." Portuguese writer Jose Morgado was as confused as everyone else. "Well ... what?" he tweeted. Commentator and podcaster David Law suggested the shock split had to be for more than just tennis reasons. "They were together a year and she won two grand slams in a row, Indian Wells and became No.1 in the world. That doesn't add up to a tennis decision," Law tweeted. Bajin rose to prominence as Williams' hitting partner, becoming a confidante to the American star over eight years before venturing off to work with other high-profile players such as Victoria Azarenka and Caroline Wozniacki. Bajin met Osaka in Paris when he was working with 2018 Australian Open champion Wozniacki and while they didn't click immediately, the encounter sowed the seeds for what would later become a fruitful relationship. Speaking last September after qualifying for the US Open semi-finals, Osaka praised Bajin for his calm approach. "Since I was working with him - and I tend to be a bit negative on myself - I feel like I've gotten a little bit more optimistic," Osaka said. "He tries to make every day really fun and exciting. For someone like me, that sort of thinks sometimes things are boring, that's good for me. "I fight myself a lot, so he's sort of been, like, the peacemaker." Opening up about his relationship with the Japanese icon at Flushing Meadows, Bajin said his star pupil already had all the necessary tools to beat the best and it was his job to mould Osaka into the complete package. "She's been a big hitter before I started with her. She had this power. It's not that I added to her," he said. "She knew how to play tennis. She maybe didn't know quite how to handle it or control it; didn't quite know when to pull the trigger, when not to; maybe didn't know that there were even other ways of putting pressure on the opponent by just taking pace off the ball. "So I was trying to kind of maintain the raw power, and then, at the same time, also show that there are other ways of creating pressure."